Here are some healthy fats that you can add to a meal or shake after a workout. 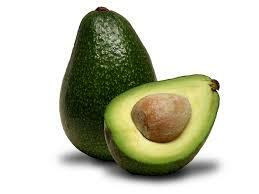 Avocados are a great anti-inflammatory fat and should be eaten an hour or so after your workout. Avocados have high essential fatty acids, contain 17 vitamins and minerals which makes it a great post workout fat to add to your meal. They also have the largest amount of protein of any fruit. One avocado blended into a smoothie adds creamy texture and exceptional nutritional value. Stick to small amounts of fats after your workout- this will help with the digestion of food. If you take in too much fat it could slow you down and make you feel sluggish. Chia seeds and almonds are also good sources of good fat, but remember to consume in small amounts. You can add chia seeds or almonds into your post workout shake to give you some healthy fat.